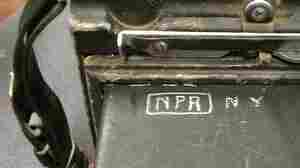 June 25, 2013  This pre-1955 Graflex Crown Graphic camera has "NPR NY" etched into the top. Who originally owned it and what does it mean? Help us solve a mystery.